This Edwardian social comedy explores love and prim propriety among an eccentric cast of characters assembled in an Italian pensione and in a corner of Surrey, England. A charming young English woman, Lucy Honeychurch, faints into the arms of a fellow Britisher when she witnesses a murder in a Florentine piazza. Attracted to this man, George Emerson--who is entirely unsuitable and whose father just may be a Socialist--Lucy is soon at war with the snobbery of her class and her own conflicting desires. Back in England she is courted by a more acceptable, if stifling, suitor, and soon realizes she must make a startling decision that will decide the course of her future: she is forced to choose between convention and passion. The enduring delight of this tale of romantic intrigue is rooted in Forster's colorful characters, including outrageous spinsters, pompous clergymen and outspoken patriots. 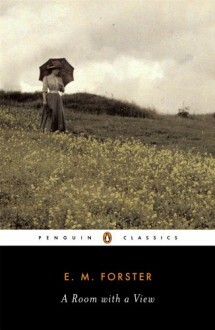 Written in 1908, A Room With A View is one of E.M. Forster's earliest and most celebrated works.